Esther Quiere Estudiar Terapia Física. 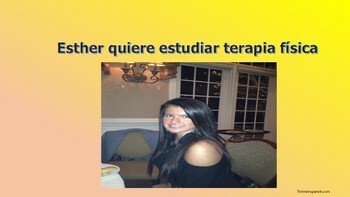 Esther Quiere Estudiar Terapia Física is a 8-page free Power Point presentation to practice the way you start a conversation to study a career. You will listen to native speakers participating in a dialog. 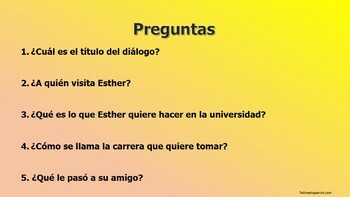 You will find questions related to the dialog, a word search and a cooperative learning activity. We hope you can use this material and get the best from it. The authors!